Holding on to relationships that make you unhappy won’t be good for your well-being. Yes, you used to value that person in your life, but if that person is becoming a big burden, then the toxicity will slowly kill your sanity and even hinder positive thinking. Letting go of toxic people could be the best thing you can do. It might sound harsh, but you will be a better person for it. Some good things can happen when you get toxic people out of your life. 1. YOUR LIFE WILL NOT BE OVER. It’s hard to let go of someone with whom you’ve shared a long history and that’s understandable. It might even be hard to imagine your life without this person because of your shared moments, so how could you cut them out, right? While moving on from toxic people can be hard and painful, know that your life will go on. You’ll soon realize that without them, more doors of opportunity will actually open, and like a Phoenix, you can rebuild your life after this loss. 2. YOU’LL BE RID OF THE DRAMA. Toxic people love drama and like to involve people in it, psychotherapist Jodie Gale says. You might have willingly offered sympathy and support to them before because of what they mean to you. You might have even dished out some advice because you care for their welfare. But they likely brushed your advice off. Toxic people, unfortunately, don’t want solutions to their problems, despite your intentions to help them. Once they are gone from your life, you’re no longer affected by their drama. You’re no longer fighting their never-ending battles with themselves and with other people. You’re free from the arguments, too. 3. YOU WON’T FEEL STRESSED OUT. Toxic people are also called emotional vampires because they can bleed you dry. They can be manipulative and bring you down with them, because of their pessimism, their criticisms, and their tendency to talking bad about other people. Being with a toxic person who always keeps you on the edge isn’t a healthy way to live. In fact, the stress of dealing with them can actually wreck your brain cells, according to experts from Germany’s Friedrich Schiller University. Without them, however, you’ll find your stress levels going down because you have controlled the chaos and blocked off the poison that’s draining you. 4. YOU’LL GAIN MORE ENERGY. After staying in a relationship with an emotional moocher, you’ll find that you will have more energy to pursue other interesting things. Stuff that you wanted to try out before but couldn’t because you had been convinced it was worthless. Because of your renewed optimism and regained positivity, your zest for life will return. You’ll have time to focus on and do other things. When you’ve finally escaped the negativity, you’ll pursue life with hope. Even failures or disappointments can’t shake you because you’re living your life according to your rules as you always wanted. You’ll see the worth in what you’re doing, whether it’s a big or small project, and enjoy life more. You’ll find that there are plenty of things to be happy about and grateful for because no one is constantly showing you what’s bad about something good. 6. YOU’LL REGAIN YOUR SELF-ESTEEM AND SELF-WORTH. 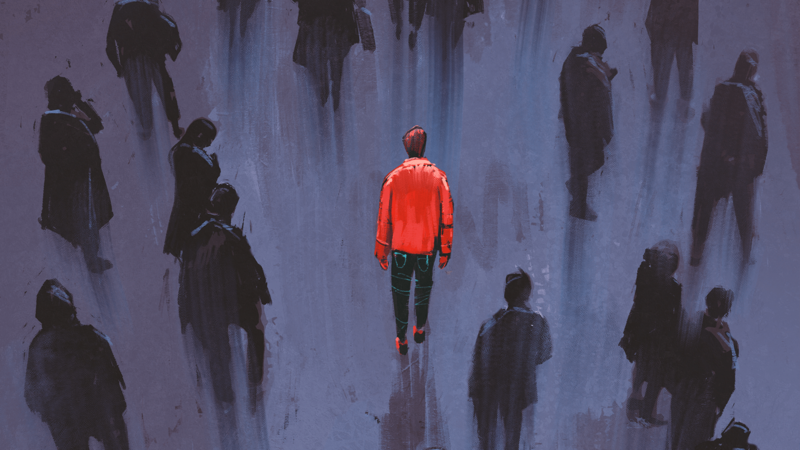 The venom that comes from toxic people might have dampened your self-esteem, but once they’re no longer in your life, you regain what you lost. You’ll find your power again and grow more confident each day you pursue new things … because there’s no one is saying you can’t do it. 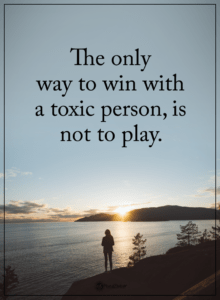 This article (10 Things That Happen When You Get Toxic People Out of Your Life) was originally published on Power of Positivity and syndicated by The Event Chronicle. Via Conscious Life News. The Event Chronicle is SHADOW BANNED on Facebook. Please SHARE to help fight censorship! Show the Universe Your Commitment!